Nearly two years ago, I made a trip to the Metropolitan Museum of Art, one of my favorite places on Earth. While there, I documented some of the more horrific pieces of art on display, and turned it into a Visceral Visionaries post. I also promised I'd return for even more frightening works of art. A couple of weeks ago, I had the chance to do just that, as I took the kids to the city for another foray into the most stirring and beautiful endeavors of the human soul. I honestly didn't plan on using the visit to fuel another Visceral Visionaries post, but while there, I couldn't help but start snapping shots of some of the more disturbing pieces on display. 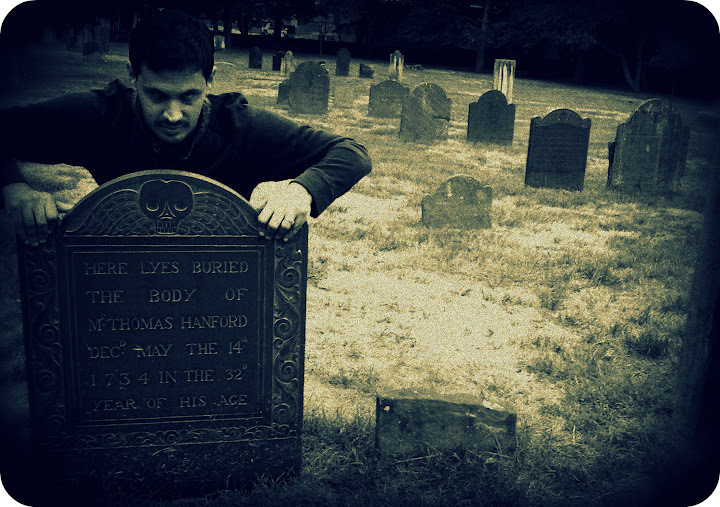 A horror bloggers' indefatigable instinct, I suppose. Still, the result of our amazing visit to the Big Apple is still an impressive collection of some pretty captivating, evocative and downright eerie creations. 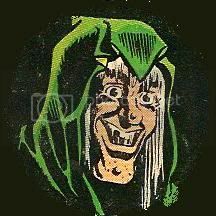 I hope you enjoy this second journey into the horrors of the Metropolitan, and I urge you all to visit if you're ever in fair Gotham. 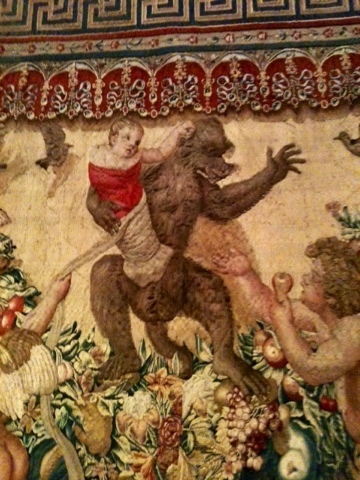 Two Putti Trying to Stop a Monkey Abducting a Child (detail). Italy, ca. 1635. Mask. Japan, 15th century. Lacquered iron, hair, silk. 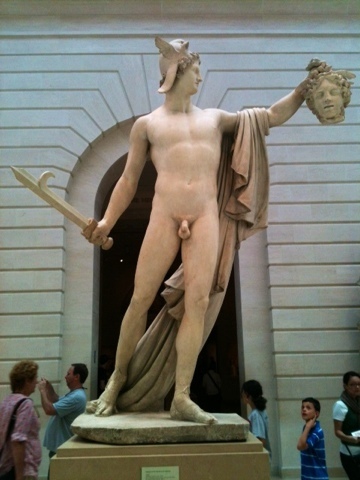 Perseus with the Head of Medusa by Antonio Canova. Italy, 1806. Note Skeleton Jack gaping in awe at right. 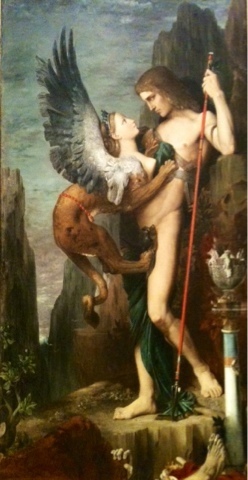 Oedipus and the Sphinx by Gustave Moreau. France, 1864. Oil on canvas. 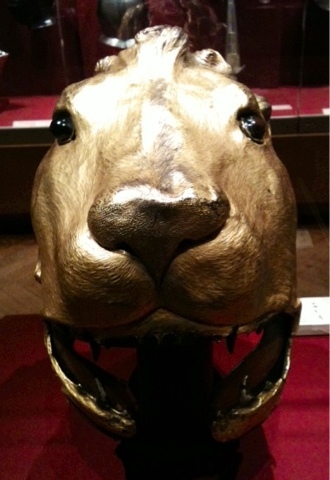 Sallet in the Shape of a Lion's Head. Italy, ca. 1460. Steel, gilt copper, glass, polychromy. 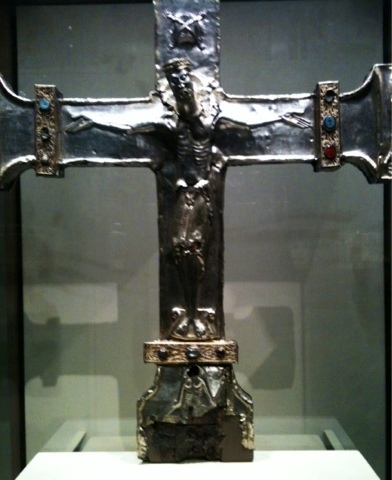 Processional Cross. Spain, ca. 1150. Silver and niello repousse on a wood core, with semiprecious stones, glass and sapphires. The inspiration for the Close Encounters mothership alien, perhaps? 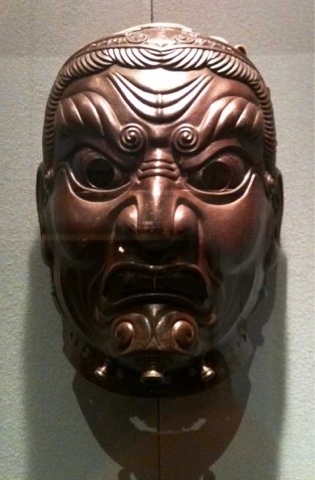 Theatrical Mask. 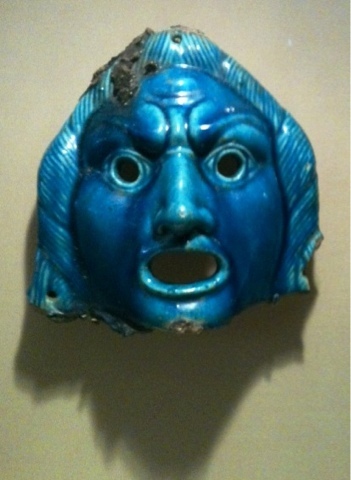 Egypt, 2nd century AD. 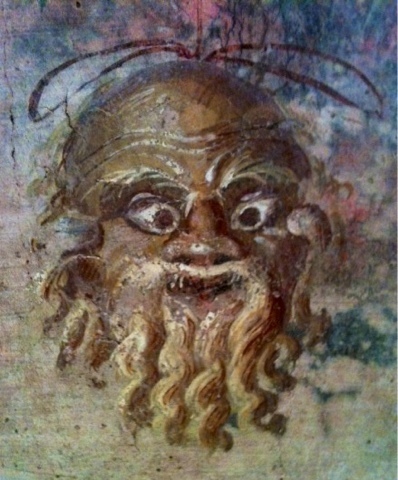 Wall painting from the villa of P. Fannius Synistor (detail). Rome, ca.50 BC.